Can maintenance fee protect ancient town? The attractive tourist destination Lijiang City, a UNESCO heritage site located in southwest China's Yunnan Province, is increasing enforcement of a mandatory maintenance fee often evaded by tourists, Xinhua reported on June 16. The policy of "encircling the city" is arousing debate. 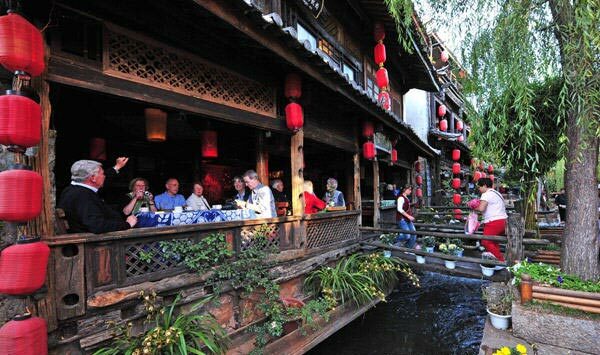 The Protection and Management Bureau of Lijiang Old Town announced on June 8 that they will begin to strictly check whether tourists pay the maintenance fee for the old town at its six main entrances beginning this summer. The bureau hopes to prevent common methods of evading the charge. Deputy Director General of the bureau Xu Jiaze said, "The problem of charge evasion has haunted us for many years. As the cost of maintaining the old town is increasing year after year, we are almost over-burdened. The enforcement of the inspection is to ease the pressure of cost-spending and avoid charge evasion, but the most important thing is to awaken the public consciousness of protecting cultural heritage." Xu said usually the maintenance fee was charged via travel agencies, scenic spots, restaurants and hotels, with an inspection team checking tourists for receipts from time to time. To attract tourists with favorable prices, venues sometimes intentionally leave off the maintenance fee. And since lots of roads lead out of the city, it's hard to check if every tourist has paid the fee. Moreover, most tourists haven't accepted the concept of paying voluntarily to protect the old town. 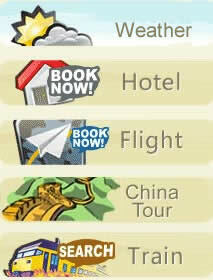 Lijiang started to collect the maintenance fee in 2001. The price was 40 yuan (US$5.85), and then rose to 80 yuan (US$11.70) in 2007. So far, the town has collected around 750 million yuan (US$109.6 million). The tourism industry department estimates that the town has lost tens of millions of yuan through charge evasion in the past eight years. The announcement of stricter inspection aroused debate. Many think the amount the town is currently collecting should be sufficient to protect historic sites, while others believe the fee should be abolished altogether. "It looks like a lot of money, but actually we can't make ends meet." said He Shiyong, the director general of the local administration bureau. "The expenditure exceeded 1.3 billion yuan (US$190 million) and we still owe 640 million yuan (US$93.61 million) to the bank." He said the town's budget mandates that 40 percent of the collected fee must be used for debt repayment. Some 30 to 50 percent is allocated to the government of the old town district, and the rest goes toward sanitation, security environment and administration costs, as well as a special fund for protecting the ethnic culture. "All the world cultural heritages are facing a problem of lacking fund, charging is the most efficient method of addressing those shortfalls. "Heritage protection is a huge project. We established many programs with world-class standards, but we need the guarantee of funding. And we have to help tourists understand the concept of protecting the heritage by paying for visiting," Director He said. Fan Jianhua, vice director of the Yunnan Provincial Department of Culture, supports the increase in inspections, saying that it's common for historic sites to collect fees. Similar fees are charged in the ancient castles in southern Europe and the Louvre in Paris. "The heritage is owned and shared by all the human beings, but we are consuming the culture as well and we should pay for the consumption. The question isn't whether or not to charge, but how much and in which way," Fan said. Fan thought the maintenance fee could even be increased substantially, but the way of charging might be changed into something less avoidable, like by including the fee in the cost of transportation to the area. Questions remain over development and the possibility of limiting the number of tourists, he said. Bai Yubao, an expert of Yunnan Non-Material Cultural Heritage Protection Center, says protecting a site like Lijiang isn't a simple project. "To collect the maintenance fee is not the only way. The fee should be seriously planned and reasonably used. No matter in which way, all we hope is to inject the rich and live cultural sedimentation into the old town and make it a splendid world cultural heritage," Bai said.